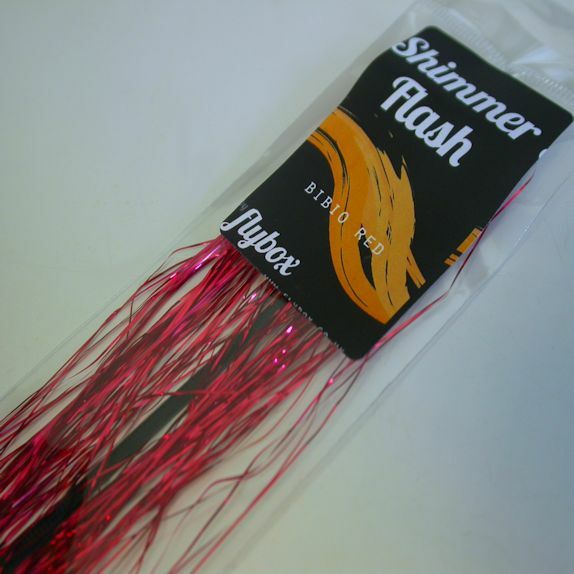 Shimmer Flash from Flybox. 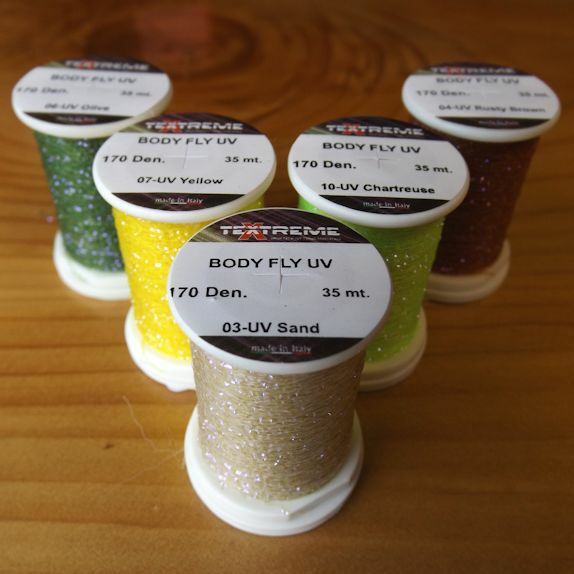 Available in a great choice of colours. 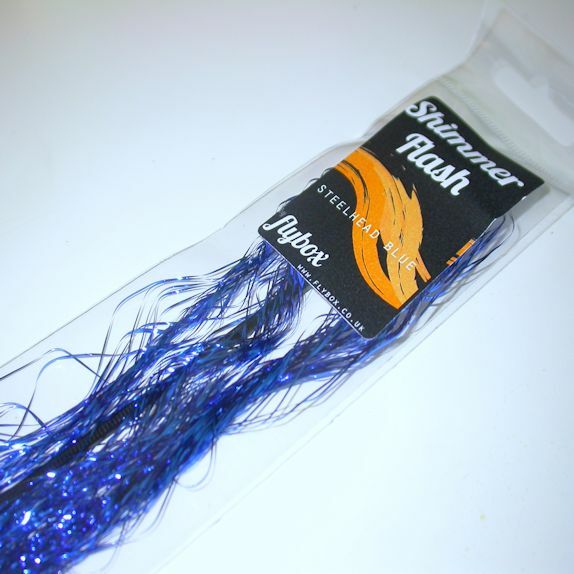 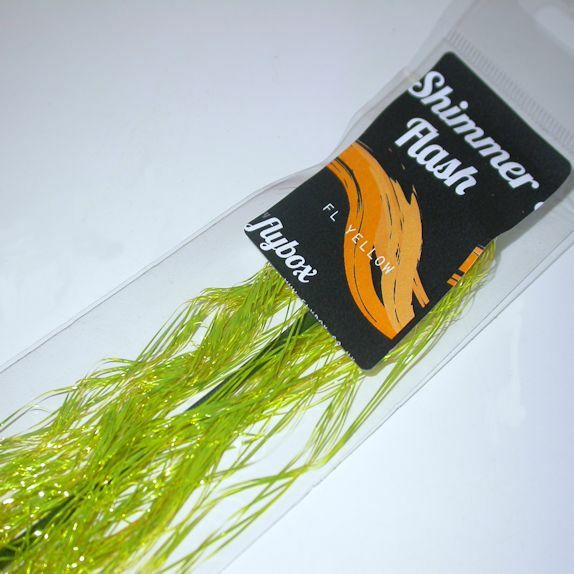 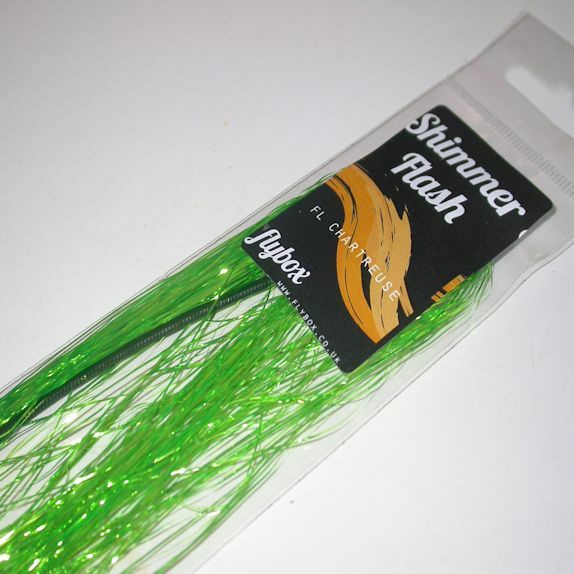 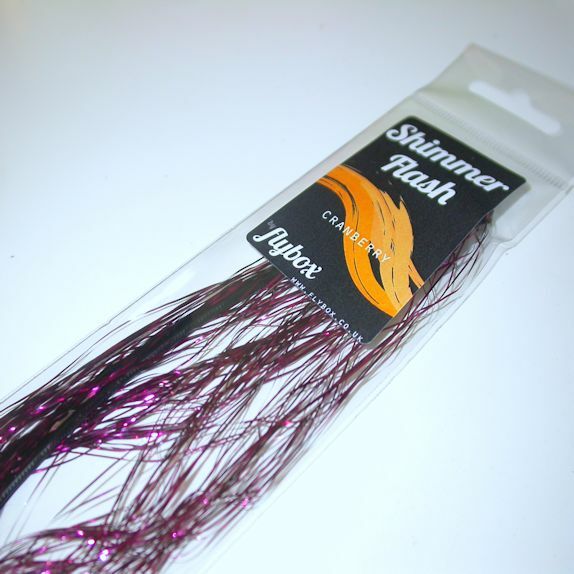 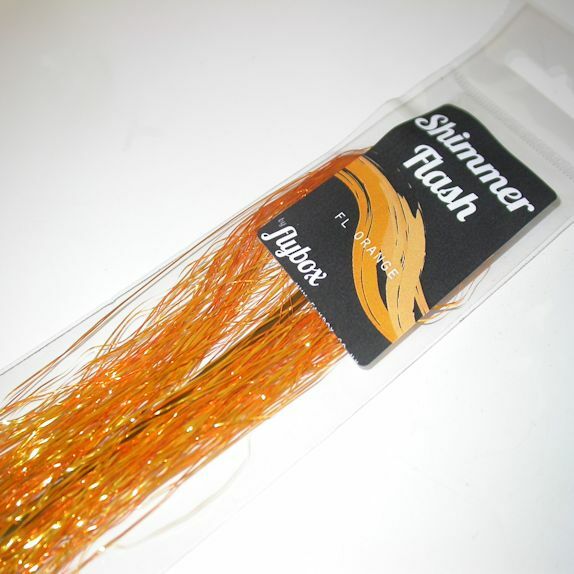 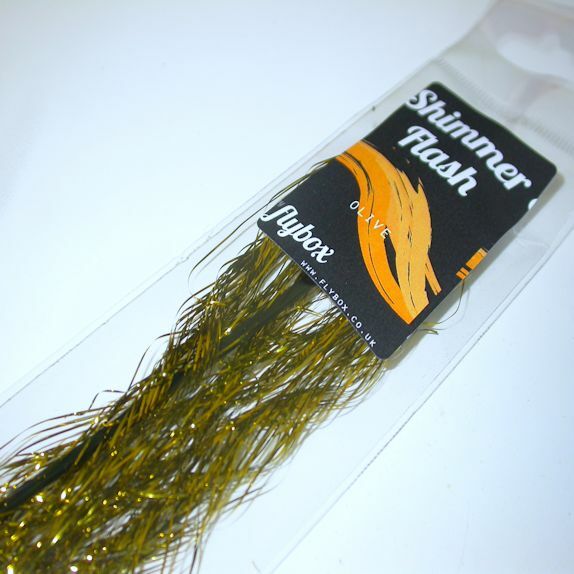 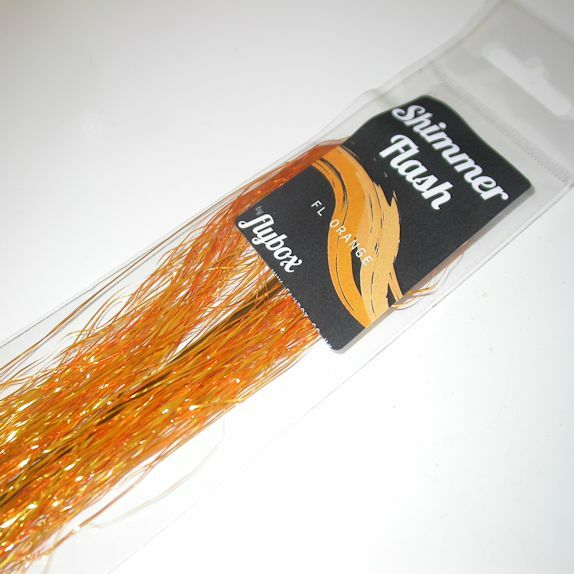 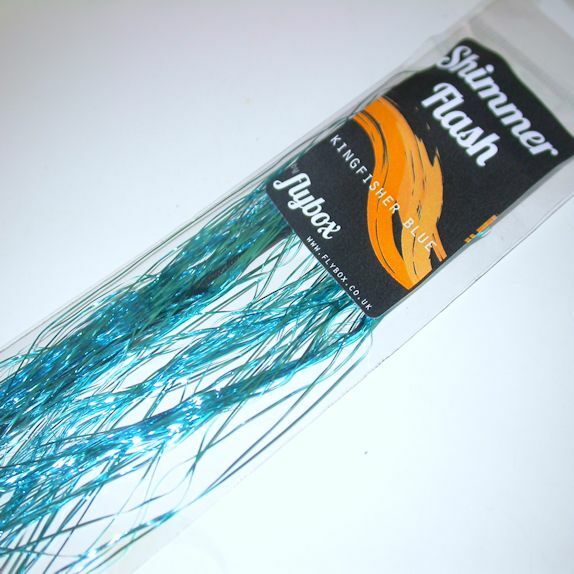 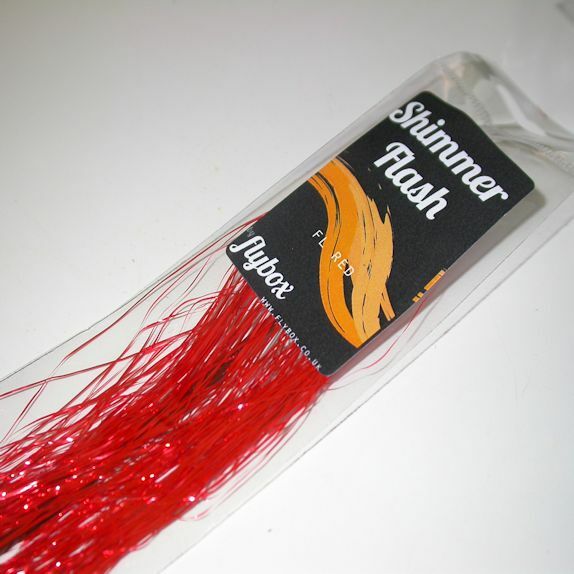 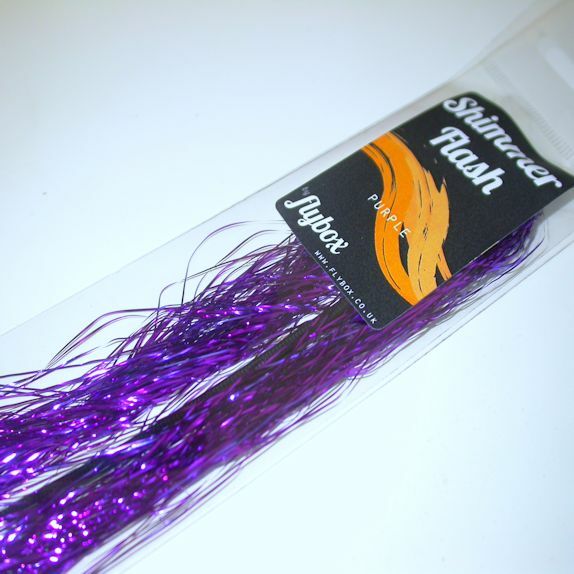 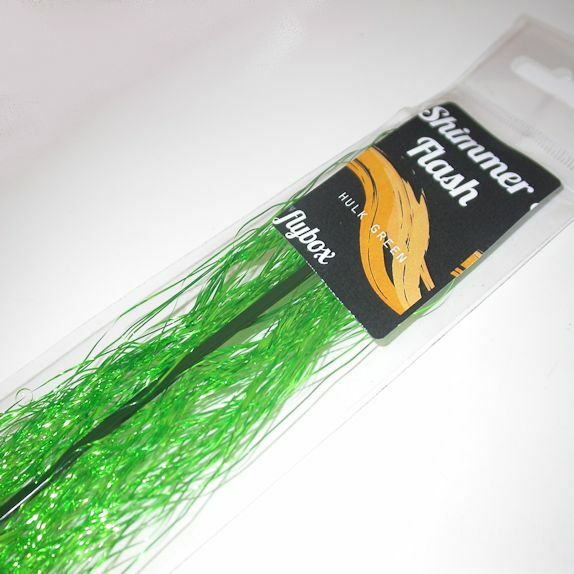 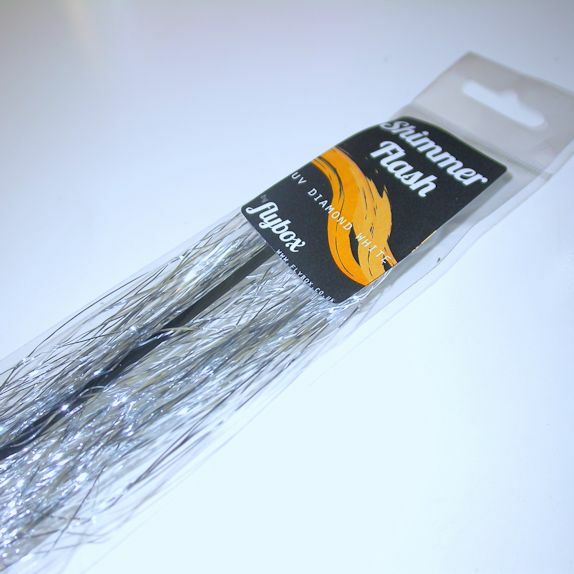 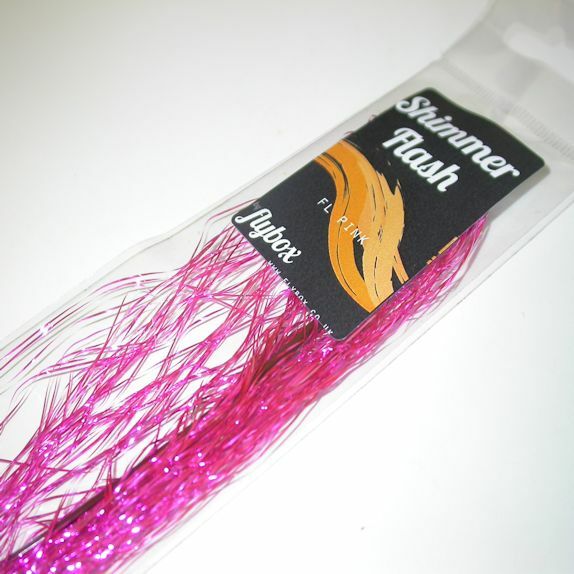 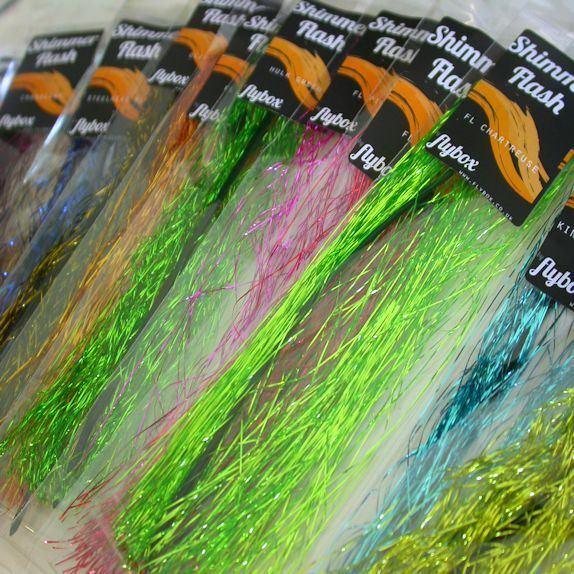 Shimmer Flash is a dyeable metallic fibre which features in Shimmer Blob Fritz – but in hanked form. 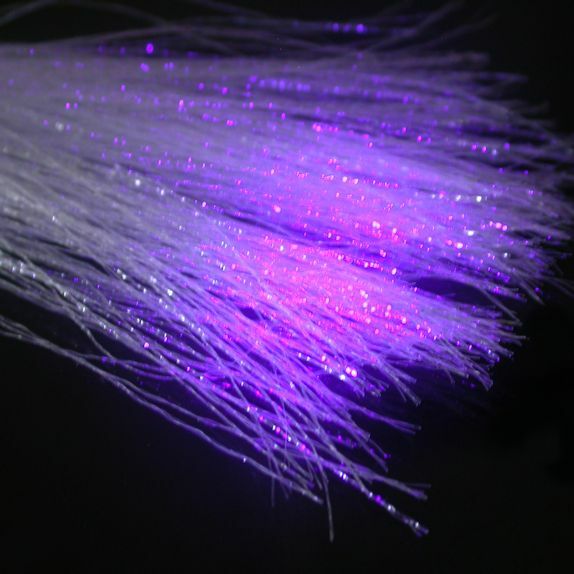 We’ve dyed this into 14x colours, most of which are fluorescent. 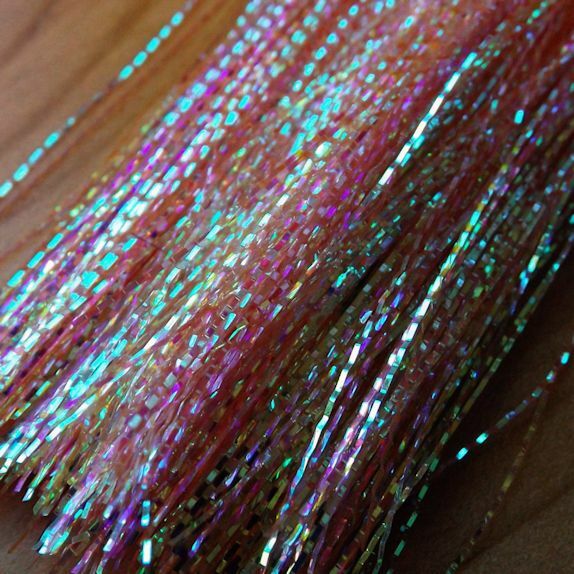 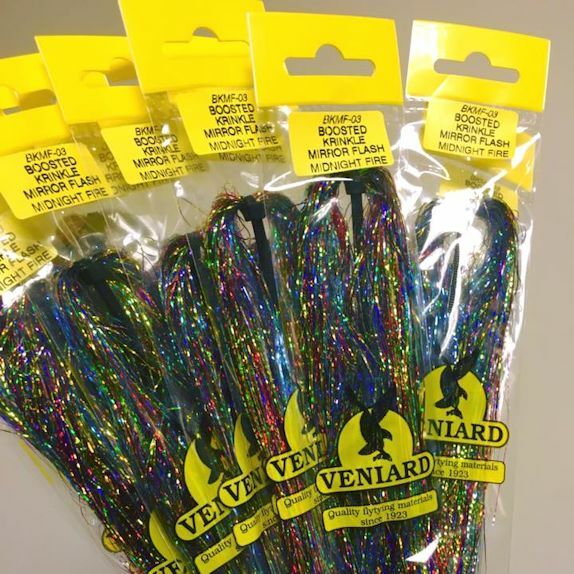 This material is producing great results on blob patterns, but is also great for buzzers and nymphs – or adding into wings.